Summary: Is it coincidental that there are only two truly worldwide religious movements in the world today: the Roman Catholic Church and the Seventh-day Adventist Church? The American Bible Society and Church Missions document lists the Seventh-day Adventist Church as the only universally distributed Protestant denomination in the world. 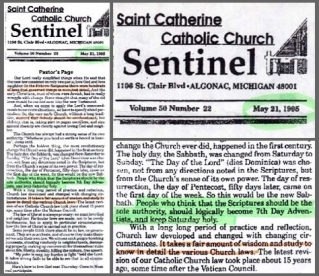 The Catholic Church demands obedience to its system and claims Sunday as the mark of her authority, and the Seventh-day Adventist Church propagates obedience to God and Him only and upholds the Seventh day Sabbath as the sign of obedience to God, in accordance with the Scriptures. Pope John Pauls II’s encyclical on Sunday worship calls the world to honor that day.ii Conversely, the Seventh-day Adventist Church warns the world against accepting Sunday—the mark of the Beast. 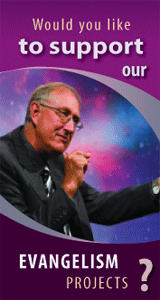 The Adventist Church is protesting against the stealing of God’s authority. This is the recipe for the final conflict. 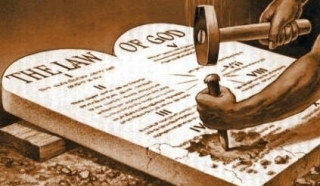 The choice is ours: will we follow the commandments of God or the commandments of people? Those who knowingly disobey God will have to give an account to God. The final conflict in the great war between Christ and Satan is about to unfold. Once the mark of the Beast has been legislated and each person has a chance to choose where they will put their allegiance, probation will close and Christ will return. The redeemed will sing a “new song before the throne.” Their unique experience as those who come out of the last tribulation will qualify them to sing this song of praise to the God. The choice is clear. God longs to redeem us. He didn't even spared His own Son, and wants to give us all things. Today, if you hear His voice, do not harden your heart. i. The Catholic Mirror, (September 23, 1893). iii. cardinal James Gibbons, The Faith of Our Fathers 92nd edition (Baltimore: John Murphy Company): 89.
iv. Monsignor Louis Segur, Plain Talk about the Protestantism of To-Day (London: Thomas Richardson and Son, 1874): 213.
v. The Catholic Mirror (September 23, 1893). vi. “The Question Box,” The Catholic Universe Bulletin (August 14, 1942): 4.
vii. 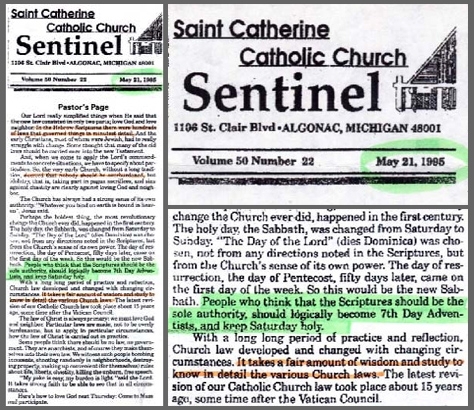 "Pastor's Page," The Saint Catherine Catholic Church Sentinel Volume 50, Number 22 (May 21,1995).